©2014 Jill Murphy (P)2014 Penguin Books Ltd. I recommend this book to any young lady or budding young witch of around 6/7 8/9 years old. Great story from my childhood. Such a lovely little story from my childhood. Bought back many happy memories of early reading. The sound of my childhood!! 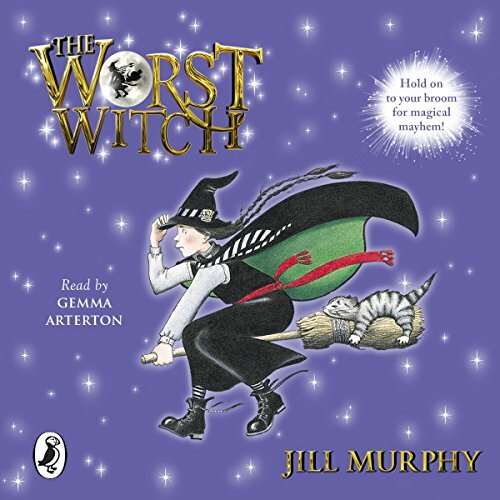 I always loved the worst witch so to hear read to me was a delight! I am seven and I like it because it is exciting and I like the witch getting a kitty cat I think she was a bit clumsy but very brave trying to please her teachers I think it is suitable for seven year olds and up. There is only one scary bit but it is not that scary.